If Senate GOP leaders have their way, the check may not be in the mail. Many consumers collected unexpected rebates after the Affordable Care Act became law, possibly with a note explaining why: Their insurer spent more of their revenue from premiums on administration and profits than the law allowed, so it was payback time. More than $2.4 billion has been returned to customers since the provision went into effect in 2011, averaging about $138 per family in 2015. Those rebates could end under the Senate proposal — now on hold until after the July Fourth holiday — to repeal Obamacare. Insurers consider the requirement — known as the medical loss ratio (MLR) — onerous, and some had to change the way they do business because of it. To be sure, the rule didn't resonate much with consumers. Even if they received a rebate, because the amounts were relatively small, possibly enough to cover a family dinner out. The MLR has fans among policy experts, who say it pushes insurers to be more efficient and creates a better value. "When they struggle to pay premiums, when they're making those sacrifices, [consumers] want most of the value of those premiums to go to actual medical care," said Mila Kofman, a former insurance commissioner in Maine, who now runs the D.C. Health Benefit Exchange Authority. Like much else related to Obamacare, the provision was controversial from the start. It states that insurers can spend no more than 15% of their customer revenue on administration and profits when selling large group plans to employers, or 20% for individual coverage. If plans exceed this mark, they have to pay back the excess, either to employers or to people who bought coverage from them on the individual market. Employers who got rebates for their work-based plans could decide how to redistribute the money as long as it was used to benefit employees. 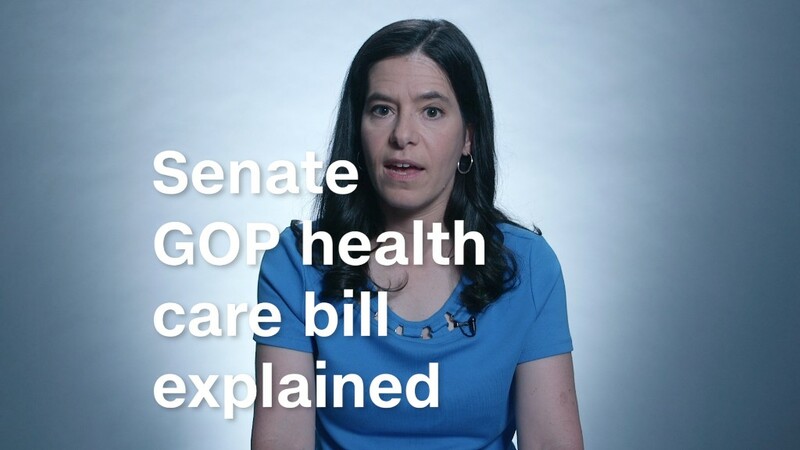 The Senate GOP health proposal, the Better Care Reconciliation Act, would end that requirement in 2019 and let states decide whether to continue such limits and rebates. In some ways, this change would be a gift to insurers. The provision, as is, "limits their profitability" and, along with other factors, may have contributed to an exodus of plans from some markets, explained Christopher Condeluci, of CC Law & Policy in Washington. "By allowing states to craft more flexible" rules, the Senate measure may make it "easier for insurers to operate," said Condeluci, who served as tax and benefits counsel to the U.S. Senate Finance Committee when Obamacare was being drafted. From the start, insurers argued the one-size-fits-all rule was too strict and sought the broadest possible definition of medical expenses. Supporters maintained it could help slow premium increases or at least make them more in line with the underlying growth of medical costs. This point is "really important," said Tim Jost, an emeritus law professor who studies the health care law and serves as a consumer advocate before the National Association of Insurance Commissioners. When the Affordable Care Act took effect, health care inflation had slowed, but "insurers were still regularly raising premiums far above the actual growth in claims," he said. "They were making a huge profit." The first year the provision was in effect, insurers paid more than $591 million in rebates for policies covering more than 8.8 million customers, averaging $98 per family. Not all insurers exceeded the limit, and the amount of rebates varied by insurer and state. Over time, the number of customers in plans that exceeded the limit fell but was still nearly 5 million at last count. The reason: Insurers both trimmed administrative costs and, in some cases — especially in the individual market — saw their spending on sicker-than-expected customers rise, making it less likely they would exceed limits. Indeed, some insurers were spending more than 90% of revenue on medical costs by 2014, according to a report by the Urban Institute and the Robert Wood Johnson Foundation. Some insurers have also reported losses on their individual market coverage. Before Obamacare, many states set rules on how much of their premium revenue insurers must spend on medical care — although those rules often did not apply to job-based insurance. The amounts varied, and they were often lower than what Obamacare requires. North Dakota, for example, required 55% of revenue be spent on medical care, while New Jersey set the percentage at 80, according to a 2010 issue brief in the journal Health Affairs. Like many other aspects of the Senate bill, the impact on consumers would vary by state. The Congressional Budget Office, in its review of the bill, predicted that about half of people live in states that would maintain the current requirement. Others would loosen it and allow a greater share of premium costs to go toward administrative costs and profits. "In those states, in areas with little competition among insurers, the provision would cause insurers to raise premiums and would increase federal costs for subsidies through the marketplaces," noted the CBO. The analysis also said the provision would have "little effect" on the number of people who have insurance.